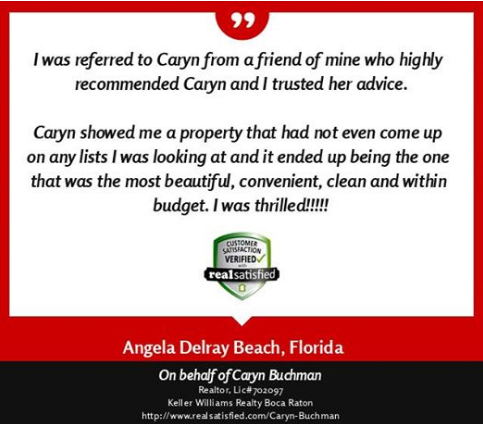 “I am a very satisfied client of Caryn Buchman. She went above and beyond my expectations to sell my condo. I received extraordinary service with every interaction, and she went the extra mile to help me with some unusual circumstances. I live in Atlanta and had the burden of trying to sell from afar my condo in Boca. Caryn has made this the easiest process I could ever imagine. She priced the condo perfectly and sold it in two days (at a price I did not believe I could get)! 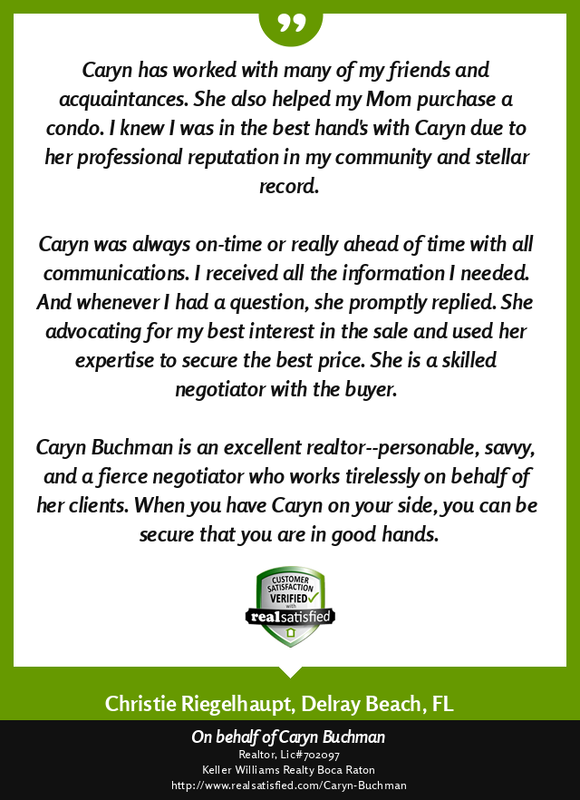 I have sold and bought many homes in my life, and I have to tell you I have never experienced the outstanding service that I received from Caryn. 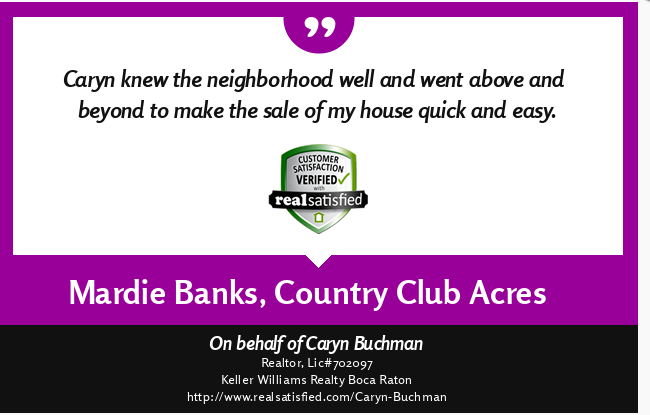 She has a warm, friendly, energetic demeanor, and she understands her clients’ needs and the specific issues that each sale brings to the table. She steps in and does whatever it takes. I feel that I got the same service she would have given a million dollar client. I work for American Express and I am in charge of leading the training that our customer service representatives receive. 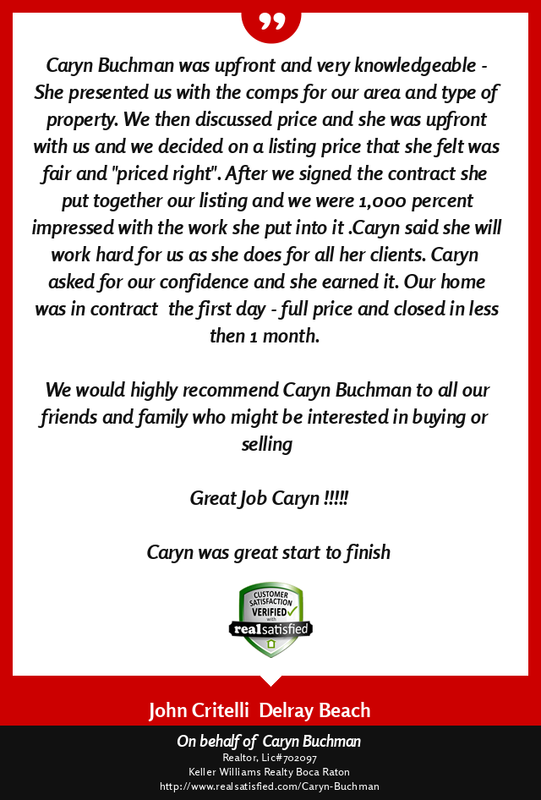 Caryn is a great example for me to use of great customer service.